President Muhammadu Buhari returned from from the UK last Friday. Following the President's return there a few events that are bound to take place. Although President Buhari wants Acting President Yemi Osinbajo to keep running the country, he temporarily reclaim power until the Senate has been notified . Osinbajo will today do a proper handover and reclaim his position as VP. 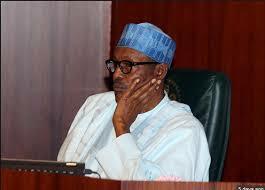 President Buhari will write to the Senate announcing his return and plans to step aside again. The Presidency has already revealed that Osinbajo will keep running the country while President Buhari recuperates. A cabinet shakeup is imminent. President Buhari will be meeting with cabinet members today. Media reports are claiming that few of the president’s powerful aides and prominent members of the administration would be affected. Nigerian elites are expected to troop to Aso rock today for a meeting with President Buhari. Alot of the meetings will likely be centred on the 2019 elections and the President's plan. Nigerians are going to get more information about the President's health. He's expected to talk more about his health, maybe he'll even disclose his particular ailment.